Sri Mahalakshmi Devi is the goddess for Sixth day of Durga Navarathri. In 2009, on September 24, Thursday, is the day dedicated to the Goddess during Durga Navarathri. 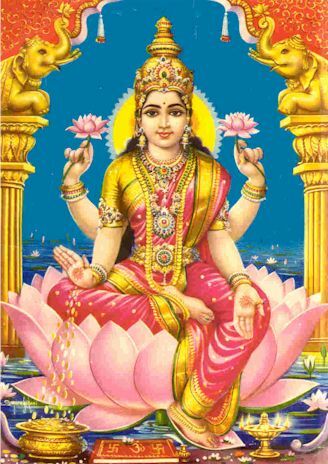 Sri Mahalakshmi Devi is the Godess of prosperity. In Vijayawada Kanaka Durga Temple, Sri Mahalakshmi Devi is worshipped on the day.